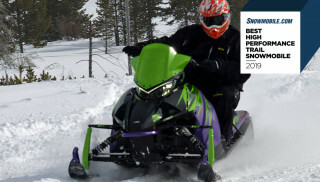 We asked our test riders to choose their favorite high performance trail snowmobile of the year and the 2019 Arctic Cat ZR 8000 Limited ES 137 iACT came out on top. 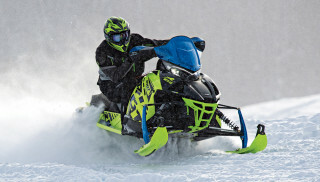 The high performance trail snowmobile category has no shortage of great contenders for 2019, but when tasked with choosing their favorite, the Snowmobile.com test riders had the 2019 Arctic Cat ZR 8000 Limited 137 iACT at the top of the heap. 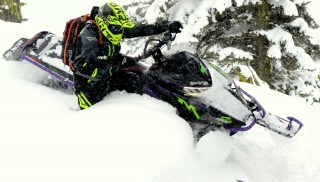 They had a fondness for Arctic Cat’s uniquely innovative iACT adjust on the fly electronic suspension. But these riders also greatly enjoyed Cat’s own designed and built 800cc two-stroke twin. They felt it gave the ZR 8000 Limited ES 137 a measure of front-end lightness and overall on/off trail nimbleness unimpeded by the weight and complexity of Cat’s three-cylinder turbo. Of course, none of these Arctic Cats with iACT and 800cc-plus displacement qualify as ‘budget models.” This chosen Cat retails at just under US$15,000. For a little background on iACT, this stands for Interactive Arctic Cat Technology. It allows you to instantly adjust the FOX Zero gas shocks to any of three firmness settings by pushing a button on the left handlebar control. This can all be done on the fly. And the display screen shows you what setting you are in – Soft, Medium or Firm. 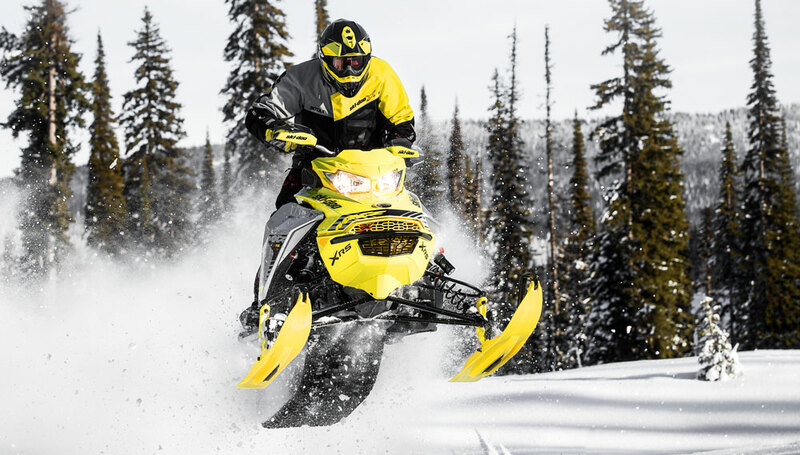 Our runner-up choice for Best High Performance Trail Snowmobile is the Ski-Doo MXZ X-RS 850, which carries a price tag of US$14,699 but does not offer a quick-response handlebar-mounted electronic suspension like Cat’s iACT. We found general on-trail performance similar between the Cat and this Ski-Doo, but in the end, we went with Cat’s innovation of iACT and an extra year of development for its home-built 800cc twin. While not quite up to Ski-Doo’s well accepted fit and finish standards, all of Arctic Cat’s models have noticeably improved in this category.